Enrollment for the Reversing Alopecia Preview Class is now available. Jill’s #1 best selling Essential Thyroid Cookbook is masterfully written, rigorously researched, and the mouthwatering recipes will support you for a lifetime of peak thyroid function. The brain isn’t an isolated organ. Our cells and physiological systems work together and it requires a multi-factorial approach to prevent and reverse cognitive decline and Alzheimer’s disease. 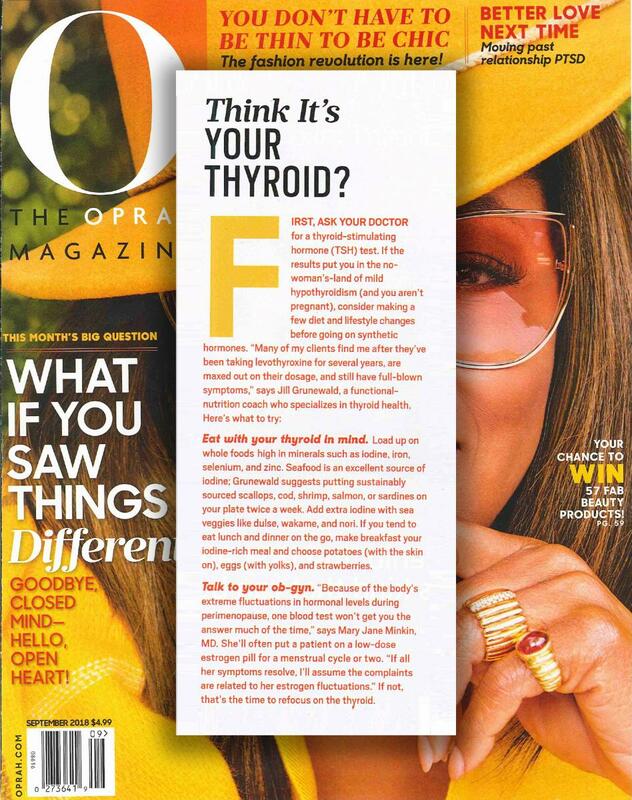 Jill was honored to be quoted in the September, 2018 issue of Oprah's O Magazine.